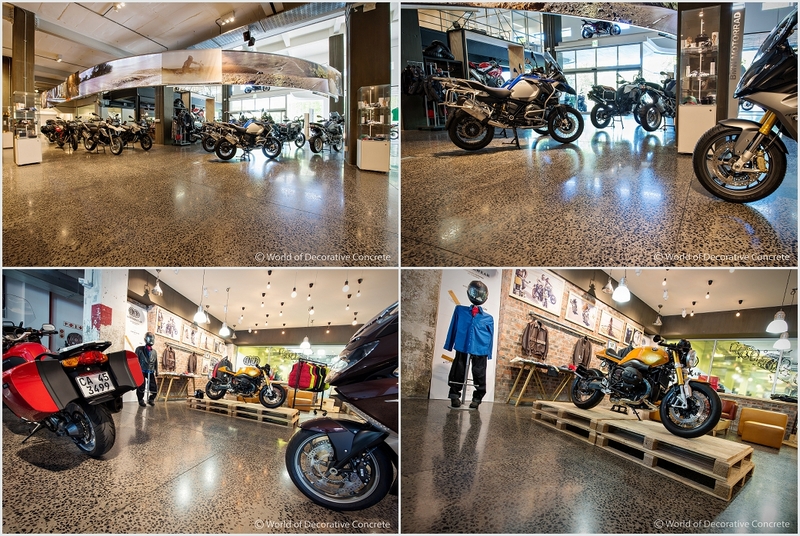 Cape Town has a new-generation BMW Motorrad lifestyle showroom on Buitengracht Street, a pilot 2600 m² hub for motorcyclists, and home to a smart Tribe restaurant. 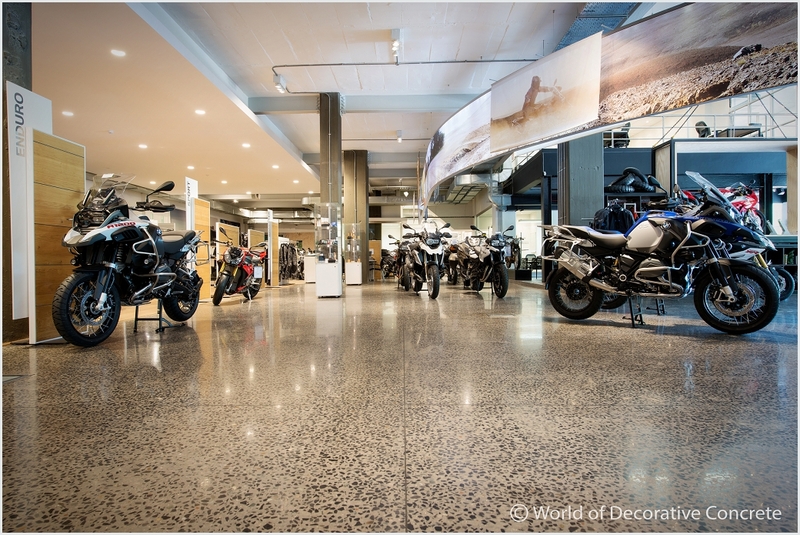 The German BMW Motorrad CEO is extremely happy with how the Donford BMW Motorrad Cape Town has turned out, the first of a new-generation of lifestyle stores they will open up around the world. 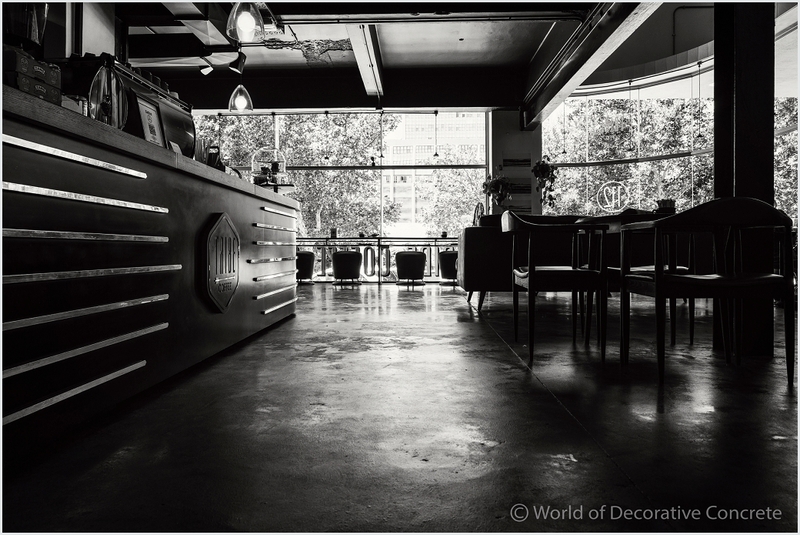 World of Decorative Concrete are proud to be associated with them, having been oppointed the grinding and polishing of all the concrete floors. It took four months from the designers’ visit to the opening of the lifestyle showroom, a very fast turn-around time. 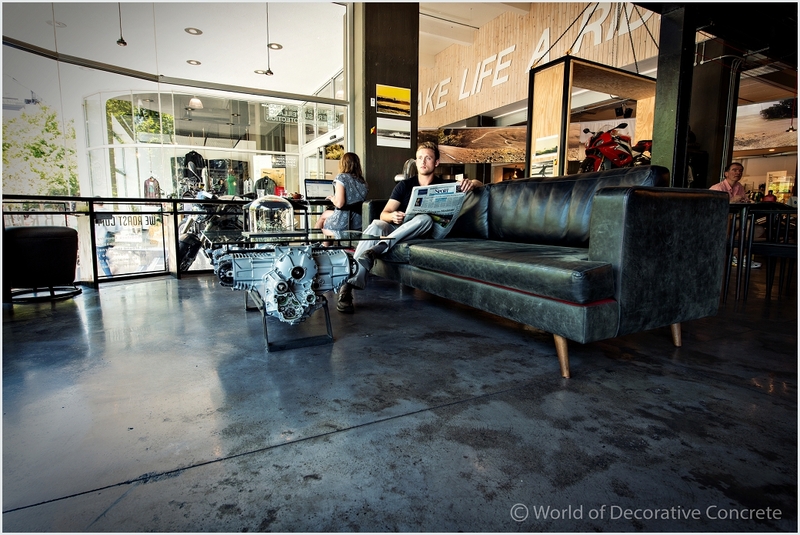 The design of the Cape Town showroom is unique, never seen before, and probably unlikely to be copied. The building has a long history, and the designers chose to retain some of the exposed brickwork in the walls, linking the heritage of BMW and Cape Town in the building. 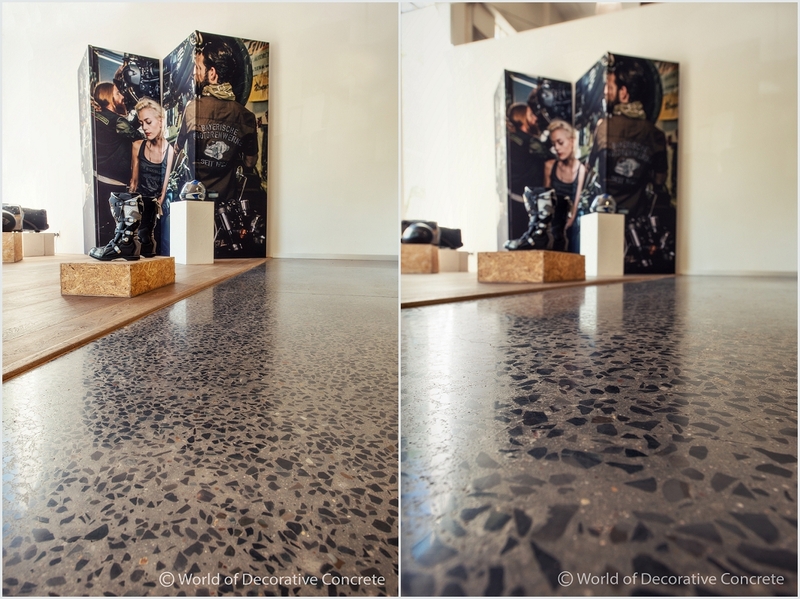 World of Decorative Concrete recommended a Ground and Polished Concrete floor. 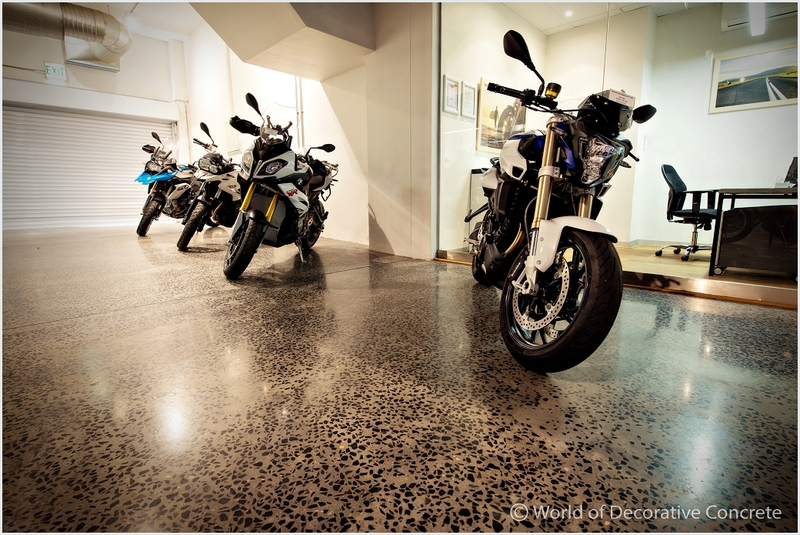 To create the feel and look of an old garage floor, a 2% black Lafarge Artevia Polished Concrete with black aggregate, would be a 100% fit. The challenge was to remove the existing old badly cracked concrete floor, install a new concrete floor and to do the grinding and polishing, all within the time frame and also allow other trades to continue with their own activities. 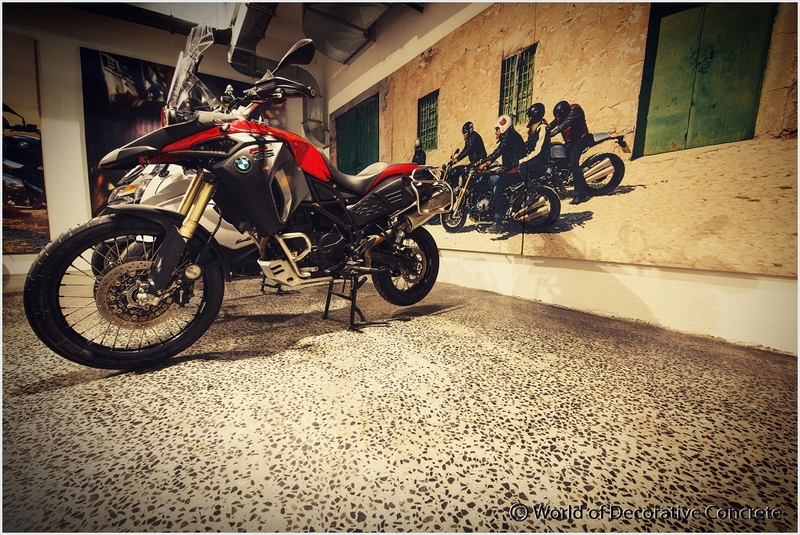 According to Stephan Schaller, Global President of BMW Motorrad, the group currently has 1000 motorcycle dealers worldwide.  They would like to see this number increase to 1500 in the next five years. 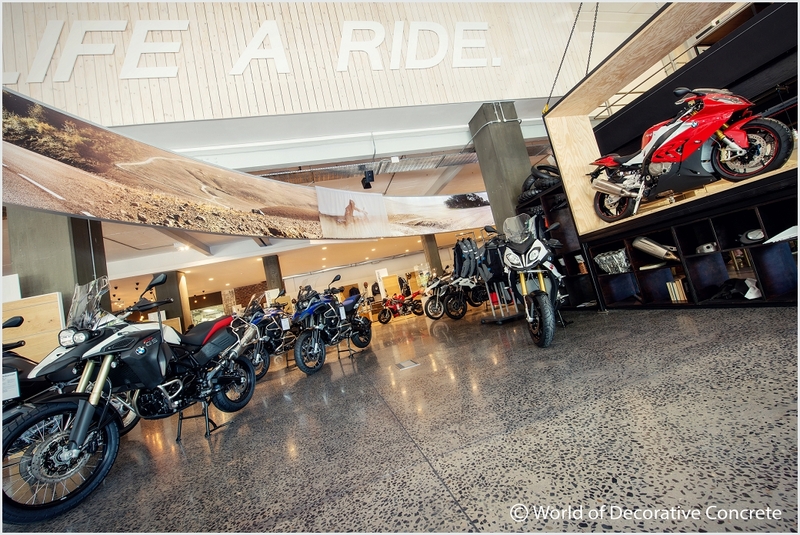 “That is why this dealership is such a good role model because it is exactly what we want it to look like, ” Schaller said at the launch event of this new-generation BMW Motorrad Cape Town lifestyle showroom. Jake Easton of Tribe, wanted a dark concrete floor with black marks on, that simulates an old oily garage floor, but is still clean and functional. 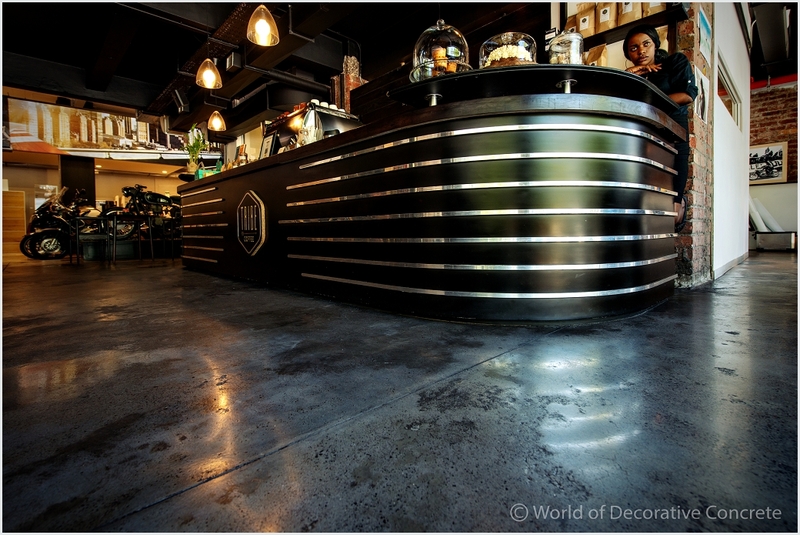 World of Decorative Concrete decided to install a 2% black Artevia concrete floor which they only polished and sealed, to create the required look. Jake was not 100% satisfied with the look and feel of the 2% black Artevia concrete and wanted a more irregular oily garage floor look. 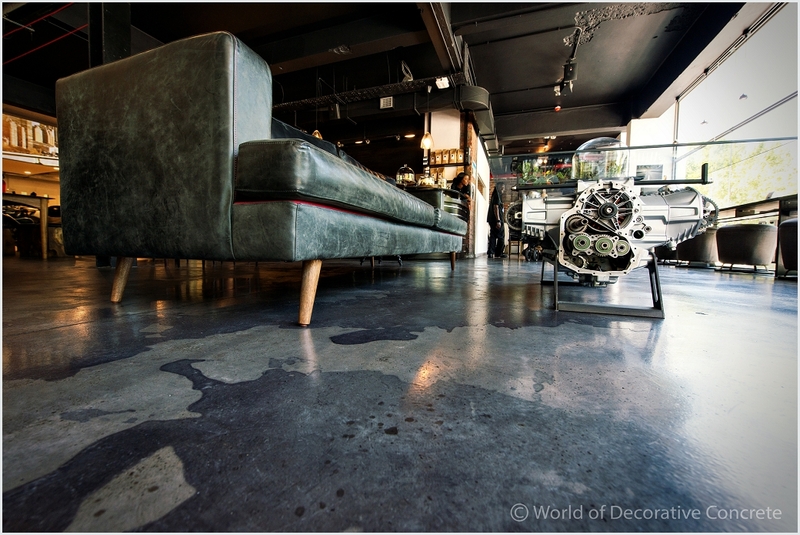 World of Decorative Concrete then decided to stain the floor with a black concrete stainer and create marks that resemble old oil. The process ended up with Jake doing the staining himself to create the look that he had in mind. The end result speaks for itself. 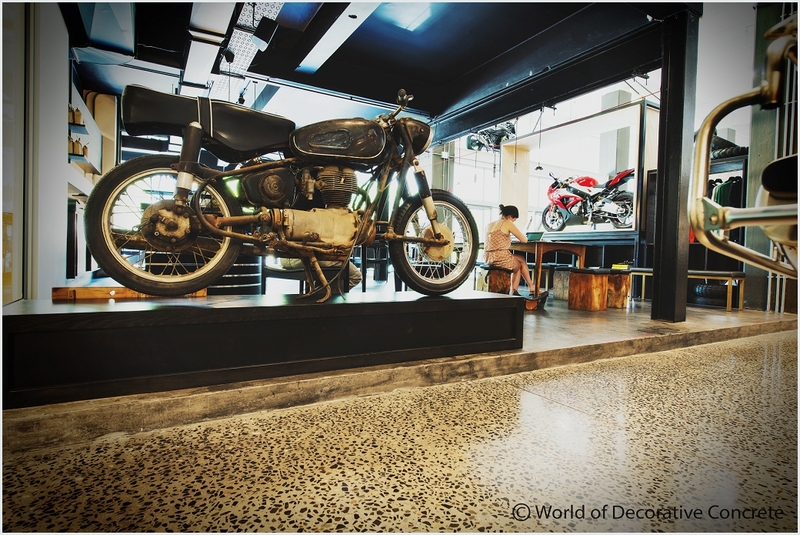 The Tribe Coffee Roasting restaurant has a coffee table with a glass sheet resting on Boxer engines from BMW motorcycles. There are black leather couches with the finest red stitching, so discreet that one has to be shown it to see it. The chairs are unusual in design, never seen elsewhere in Cape Town.  There are silver lines in the design which give the Tribe section an Art Deco feel. Mark explained the collaboration with Tribe: ‘We want to entice non-motorcyclists to come in and experience the Cape Town lifestyle. We’d like people to come and enjoy the café, people who aren’t necessarily there for the bikes, and who might then want to venture out onto the floor and visit our beautifully engineered products. What better way to do this than with a café that has wonderful coffee? That’s why we positioned the café right at the front of the showroom, looking out onto the street’.